Chef and I had planned Dover Sole for last night’s dinner. The plan was to follow our normal routine, whereby Chef cooks the fish and I pour the apéritifs The agenda changed when he phoned home to say he would be later than expected and to go ahead with dinner. I should preface, I have never cooked Dover Sole. I consider myself a decent cook, and am comfortable steaming and grilling fish. As Chef fired off a laundry list of steps for preparing Sole Meunière, I carefully listened and envisioned plating a culinary classic for Ouisie and me. I had watched him prepare the dish numerous times, and the steps sounded simple enough over the telephone. Chef’s Dover Sole Meunière with Langoustine Risotto. Family holiday dinner in Honfleur, France. Eager to put the method to practice, I occupied Ouisie with her favourite cartoon and headed to the kitchen. Lightly dust fish with flour. Heat oil in pan on medium to medium/high heat. Add fish, skin side down. Four minutes into the fry, I smelled disaster as the fish heads began adhering to the pan. It was then apparent that the fish out of water was me, not the ones sizzling on the stove. I added more oil and recited the recipe in my head. Allow skin to crisp. A good ten minutes. Turn fish for final few minutes and add in butter, shallots, and garlic. Et voila! With the heads now glued to the pan, the necks snapped as I flipped them for the final agonizing minutes. I added more oil in hopes of loosening the bonded fish. Had I missed a step? I threw in a few heaps of butter, added the chopped garlic, shallots, and the juice of one lemon (for luck). The glazed fish eyes stared through me as I tried to reassemble their bottom halves. After twelve tense minutes, the mangled mass of fish and bones cried, “mercy!” I declared the fish cooked and switched off the heat. She scanned the plate and reached for the only safety net– the raw carrot. I walked back to the kitchen, apron between my legs, to survey the massacre. Fish heads, bones and slimy scales lay glued to pans, plates and prongs. I took a few swigs of wine before clearing the kitchen of all evidence from the culinary crisis. Dinner no good, mommy. I need a popsicle. Amen. I could not have said it better. We ditched dinner #1 in exchange for peanut butter and crackers and a popsicle. 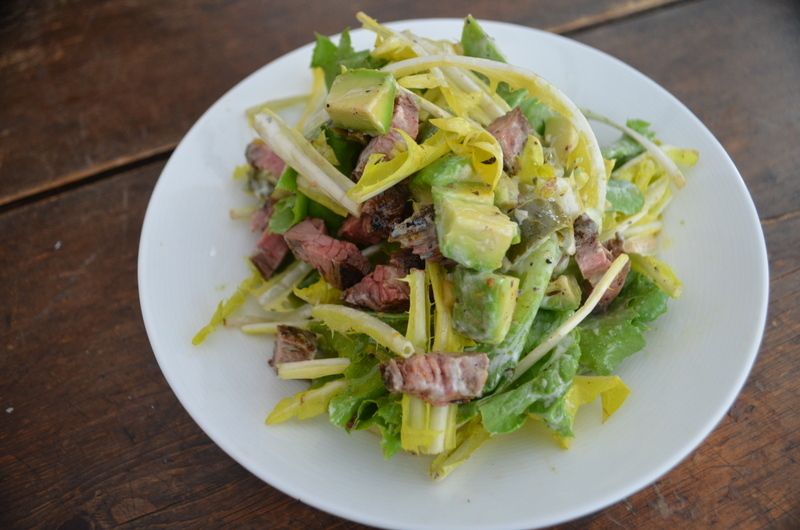 I, too, passed on the fish flop and made a chopped salad with the leftover hanger steak Chef barbecued earlier in the week. 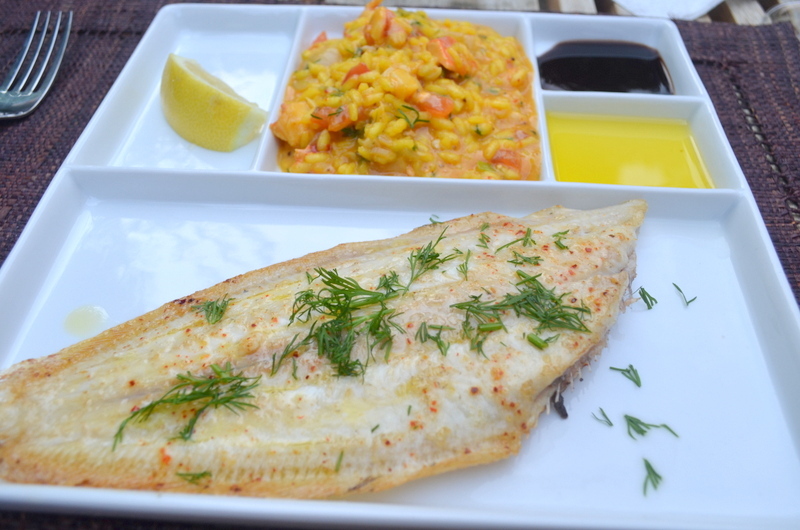 You will not find ANY photo of my Dover Sole on this post. Instead, you will see the impromptu chopped salad I threw together. I attest that it tasted (and looked) much better than the planned menu du jour. Always the humble man, after listening to me lament about my futile fish attempt, Chef assured me it was a hard dish to perfect. My next attempt at Sole Meunière will be with his expert coaching by my side. Watch this space for its future blog post. Stick to cooking dishes within one’s culinary repertoire. Do not assume a professional Chef’s recipe is a cinch. 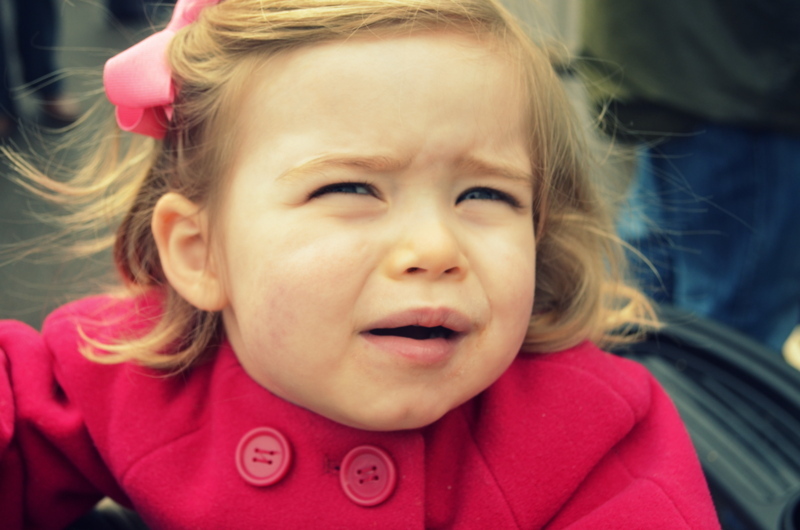 Recognise that a 2-year old is a savvy food critic. Tonight Ouisie and I had vegetable and lentil soup. We agreed it was a better palate pleaser than yesterday’s lost sole and so, we enjoyed seconds. 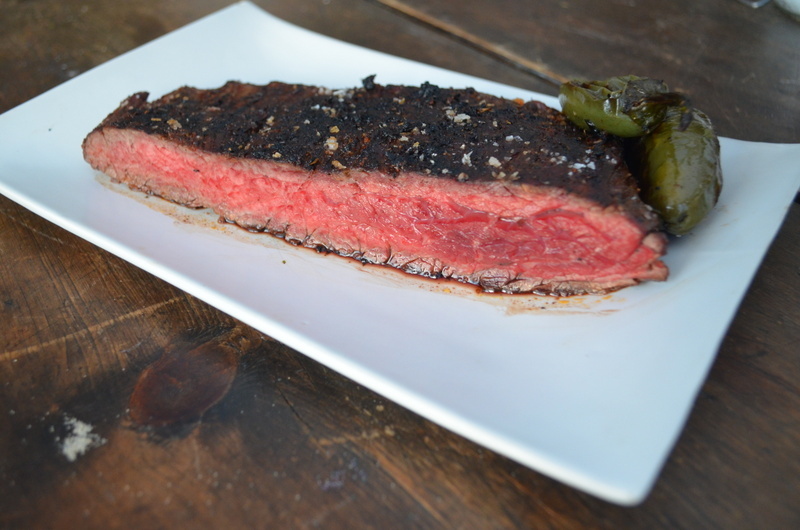 … for the next time you have some leftover steak or dinner menu #1 goes bust. Chop the above and toss in a bowl. Mix ingredients and add to salad. Add a little of dressing at a time as you wish to glisten the leaves, not soak them.